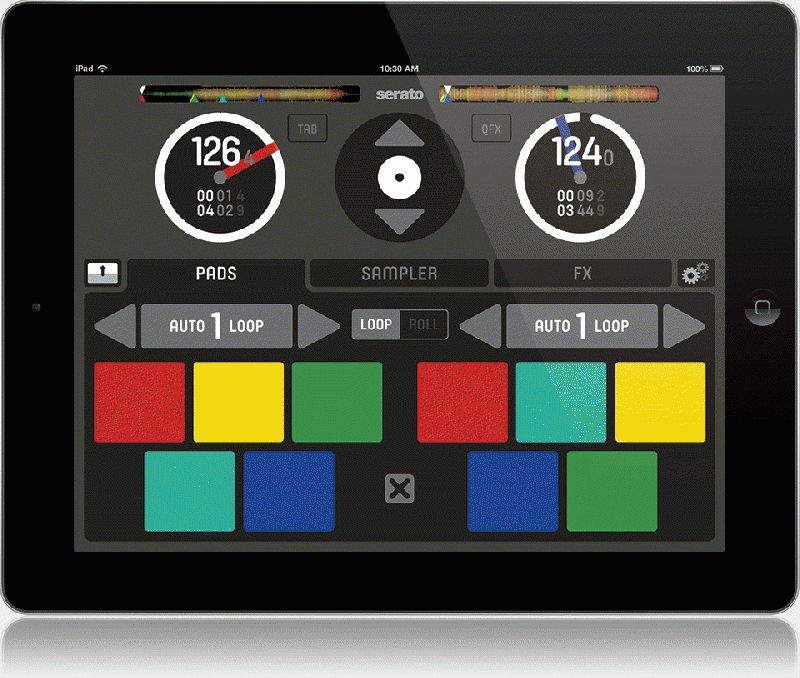 Serato is proud to announce the release of Serato Remote - Serato’s first official App for iPad®. Designed to compliment an existing Scratch Live or Serato DJ setup, Serato Remote will connect seamlessly to your Serato laptop software and work with all supported Scratch Live and Serato DJ hardware. Serato Remote lets you see and perform all of your favorite Scratch Live and Serato DJ functions without needing to touch your laptop. Control Cue Points, Loops and Samples. Load tracks and manipulate FX in ways that weren’t previously possible. See Serato’s famous Virtual Decks and Track Overviews so you can focus on the crowd and free yourself from your laptop. Have control at your finger tips and enhance your Scratch Live or Serato DJ performance. Serato Remote can be connected wirelessly freeing you to move around the stage or connected over USB for ultra low latency. We’ve designed the app with real world performance in mind, using big easy to hit buttons focusing on only the most important features. The design is clean, simple and functional. We looked at what makes up a DJ performance and kept the functions on each performance tab to a minimum allocating space to buttons and pads that compliment one another. 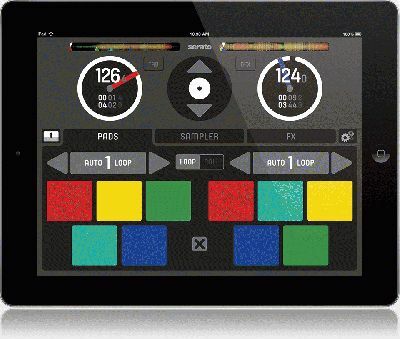 Serato Remote is available now and can be downloaded direct from the App StoreSM for USD19.99. Control Scratch Live or Serato DJ FX: The FX performance tab gives you an easier and more creative way of controlling Scratch Live or Serato DJ FX. Select your favorite FX and control them in either latched or temp modes. Trigger Loop Rolls and FX simultaneously using our new Roll Mode. Combine all of your favorite FX into an easy to manage list using the Edit Fav FX function. This gives you quick access to the FX you use most often during your set. The QFX function available in the Virtual Deck area allows you to quickly manipulate FX while using the Pads or Sampler tabs. Control your Cue Points: Trigger or delete Cue Points with the tap of a finger. Serato Remote lets you control 5 Cue Points in Scratch Live and 8 Cue points in Serato DJ. Use big easy to hit buttons to control them on the fly. Control the SP-6: The Sampler performance tab truly opens up the Scratch Live or Serato DJ SP-6 sample player. The 4 banks of 6 sample slots are easily accessed in either Virtual Deck or Extended Mode. Adjust the volume and playback of each sample individually or use the Master Sampler Volume. Trigger, Hold and On/Off Playback Modes are available for each sample slot along with Loop. Serato DJ also allows you to Sync your samples. Auto Loops, Manual Loops and Loop Rolls: The Pads performance tab gives you control of your Auto Loops and Loop Rolls in the Virtual Deck View and in Extended View you can also access Manual Loops and Samples. SUPER FAST Instant Doubles: It’s never been so easy! With the flick of a finger you can drag and drop one virtual deck onto the other to perform Instant Doubles on your iPad. Informative Virtual Deck Displays: Serato Remote gives you two separate view modes for the Virtual Deck area on your iPad. Select between either Virtual Deck View for displaying BPM, Time Elapsed/Remaining, Platter Position and Track Progress Indicators, or use Track Info View to see Artist and Track information. Serato Remote also provides a Waveform Overview area to show the current playback position, as well as any cue points or loops. Navigate and Control your Serato Library: Your Serato software library on your laptop is controlled by the Library Nav icon in the centre of the two virtual decks. Use the up and down arrows to navigate your tracks and TAB to crates, files or folders and touch and drag to either virtual deck to load. Holding down the arrow takes you into fast scroll view where a two finger drag loads tracks.